Inky Paws Challenge #32 Winners! Thanks so much to everyone who entered our last Inky Paws Challenge at here at the Newton's Nook Designs blog! This months Challenge was a to add an ARROW to your project! 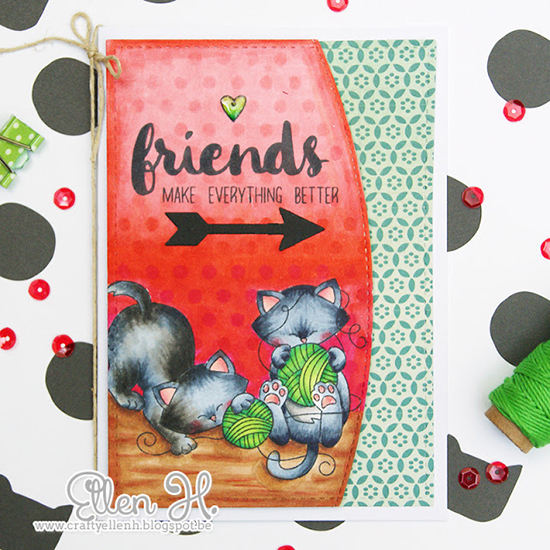 Our first top pick is this gorgeous card by Ellen! We love how she colored the kitties and the arrow really draws your eye to the sentiment! She used the cat images from our Newton Unwinds stamp set. Our second top pick is this lovely card by Tatiana! We loved how she created an arrow background, trimming out arrows from a snowflake die that she had! 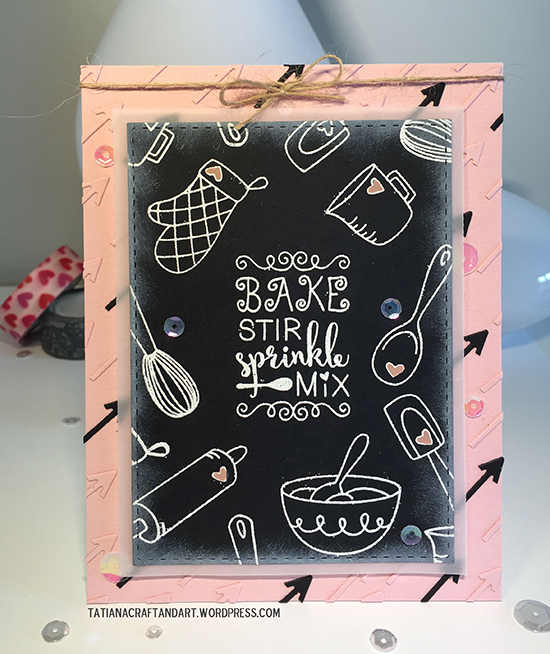 We also loved how she used images from our Made from Scratch stamp set to create a lovely chalkboard feel! Congrats to Ellen and Tatiana! Don't forget to send us an e-mail at info@newtonsnookdesigns.com to claim your $10 store credit! 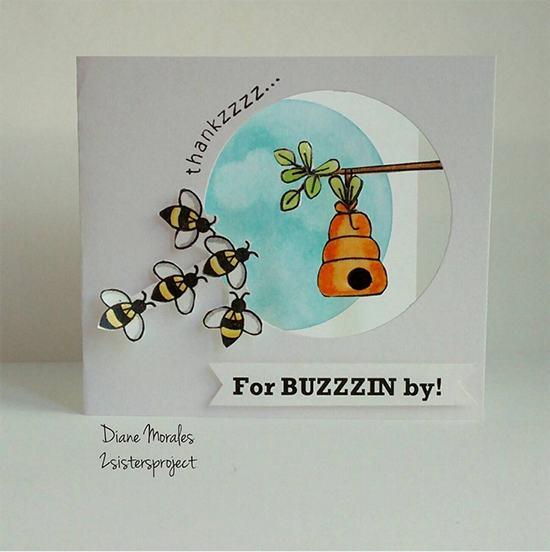 We loved how Diane created an arrow with bees from our Winston's Honeybees stamp set. Such a sweet idea and a fun window card too! 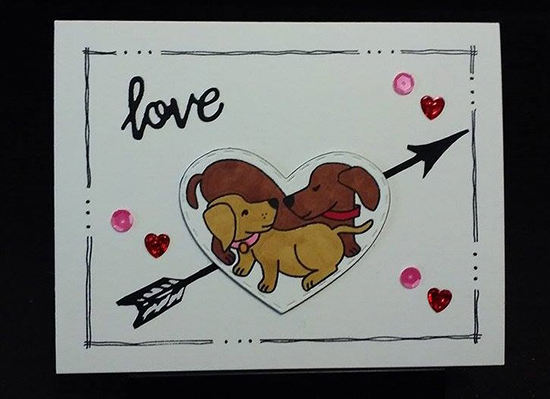 Jennifer created this fun puppy love card! We love how she used the pups from our Darling Duos stamp set to create the focal point of her card and added a big arrow behind them! We also love this sweet Kitty card that Andrea made for her vet! We love how she added little arrows pointing to the kitty and also the tiny arrow background paper! She used our Newton's Sick Day Stamp set. Thanks again to everyone who entered - It's really so much fun to look through all the entries and see everyones ideas! If you didn't win this time we hope you'll play along again next time! 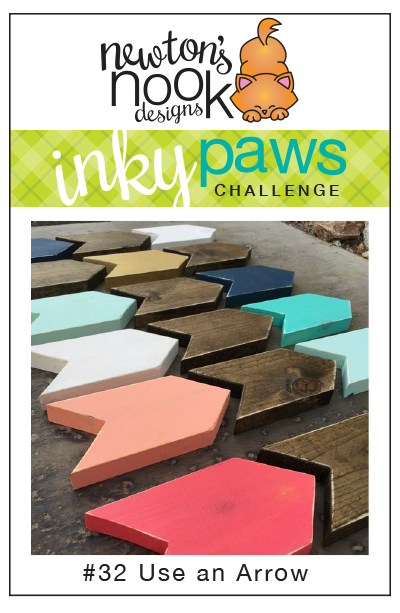 Our next Inky Paws challenge will begin in a couple weeks - on Friday, June 24th! Wow! Thanks so much for picking my card! So glad that you like it! And congrats to all the other winners!! !